Beautiful Villa in Moraira, very well oriented, with views to the sea and the mountain next to a forest of pine trees, and within a complex in a quiet area, near the Centre of Moraira, the House has 3 bedrooms all with large terraces 2 bathrooms and 1 service, differentiated into two zones, one of them as a small apartment within the House. 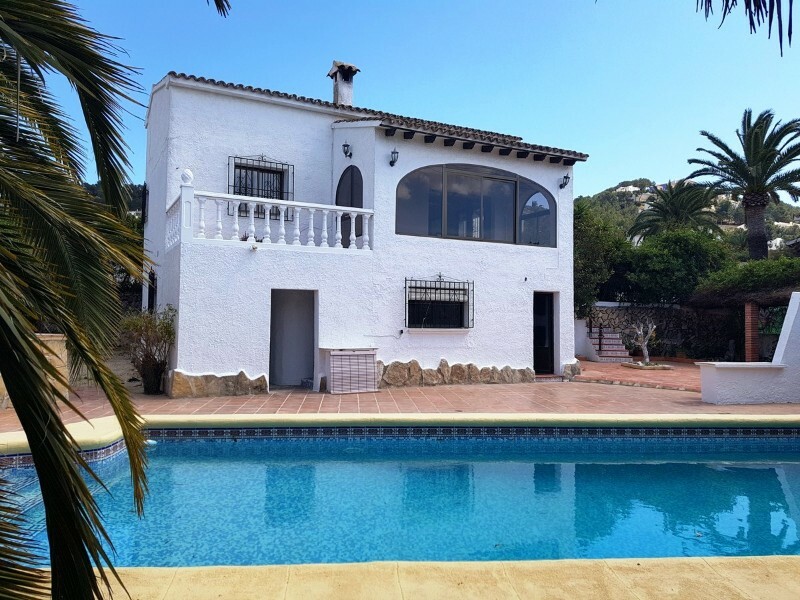 Fireplace, underfloor heating in the entire House, the outside area with a nice pool of 55 m2, a large garden of low maintenance and irrigation drip internal, enclosed parking for two cars, an estate of almost a thousand meters of paving stone. 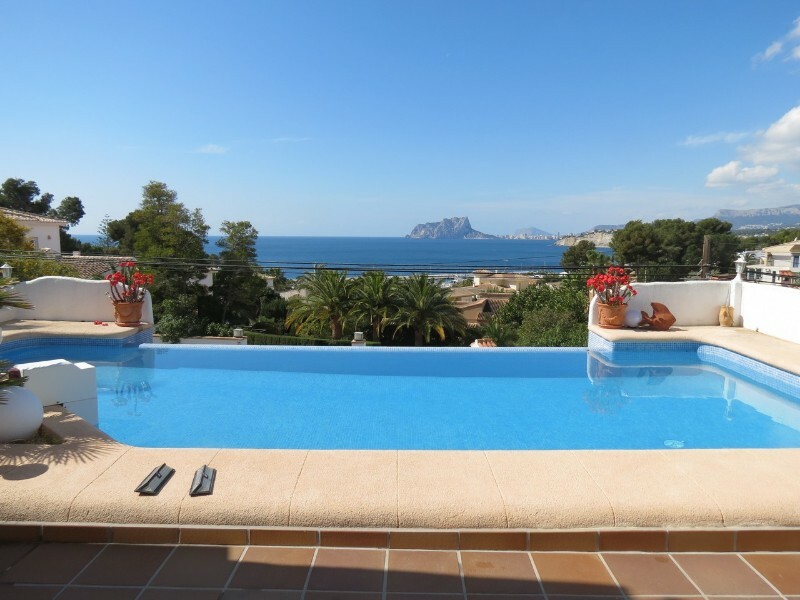 Perfect for enjoying the Sun and good weather on the Costa Blanca.